Works only on div elements. Example styling: the panel headers have a dimgrey top border, the panel bodies have a non-default margin of 10px, and the scrollbar has also a dimgrey border. 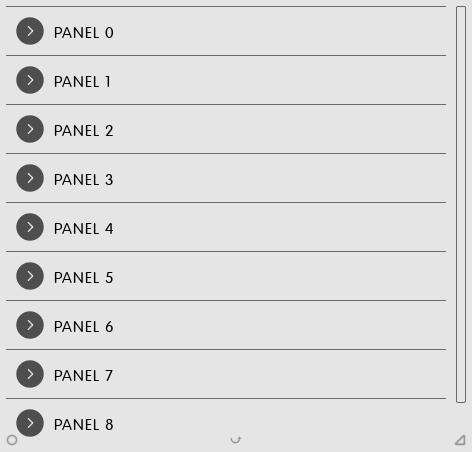 Further, the panel content is table-like; it has by default no styling at all, and is therefore required to be adapted according to the needs of the various contents.